Father’s day is fast approaching and you can now save 25% off of our fish inspired phone cases (use code: SHIRTCSMGTIE after adding items to your cart). You can also save on items such as shirts and mugs. Check out our Fishing Fury Zazzle shop before June 3rd to take advantage of this deal! *Enter code: SHIRTCSMGTIE at checkout in the “Zazzle Coupons/Gift Certificates” box. Discount level varies among products. Eligible discounts (25% of the case, shirt, tie, and/or mug net sale price) will be deducted when one or more qualifying cases, ties, shirts, and/or mugs are purchased and the coupon code SHIRTCSMGTIE is applied at checkout. The net sale price is the price of the product (excluding shipping and taxes). Offer is valid through June 2, 2013 at 11:59 PM (Pacific Time). Not all products qualify for this promotion. This offer does not apply to screen printed apparel. This offer does not apply to past purchases and may not be combined with any other Zazzle promotional or volume discount offers. If a volume discount applies to your order, you will receive either the discount set forth in this offer or the standard volume discount, whichever is greater. Offer valid on Zazzle.com only. 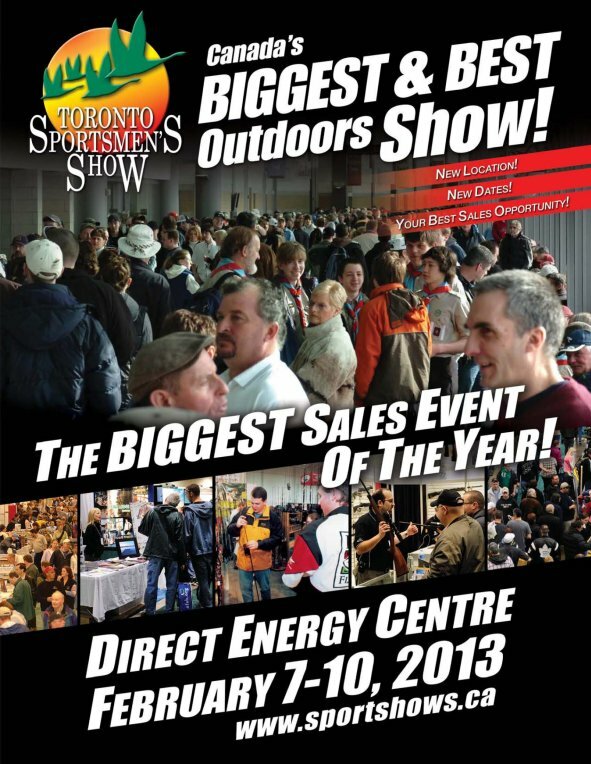 The 2013 Toronto Sportsman’s Show is just around the corner, and this year it promises it will be bigger and better than ever! This year’s event will be held at the Direct Energy Center, Exhibition Place, running from February 7th to 10th. We’ll be there documenting this event and looking for some deals! One feature you won’t want to miss is the Berkley School of Walleye Fishing. Berkley Pro and full-time guide, Sheldon Hatch, will be hosting the show. Visit torontosportshow.ca to save $3 off the price of an adult admission for a limited time.